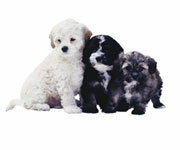 HOME / Are Epleon odor control products environmentally safe and not harmful to my pet ? Are Epleon odor control products environmentally safe and not harmful to my pet ? Epoleon is committed to the preservation and health of our environment. Our odor neutralizers are chemical products manufactured with safe components. Our highly advanced formula is made from nothing but fine organic, biodegradable,so our products are safe to use as they are effective. Epoleon's water soluble formulas contributes to the beautification of our society by decomposing malodors of a wide range of gases from acidic to alkaline, including hydrogen sulfide, mercaptans, amine and ammonia. In today's climate of ecological awareness, Epoleon products provide a way to chemically neutralize odors in an environmentally responsible and enhancing way.